Obviously, you did not come to this page without a reason. Most likely you are one of those, who could sacrifice most of your time for playing different video games. For this reason, we do not have any doubt you will be also interested in one the most awaited video games For Honor, which will be released in less than two months. More precisely, For Honor PC release date is 14 February 2017. Since we still have enough time until the game will be released, we can start to analyze its For Honor gameplay, music, characters and all other important aspects. 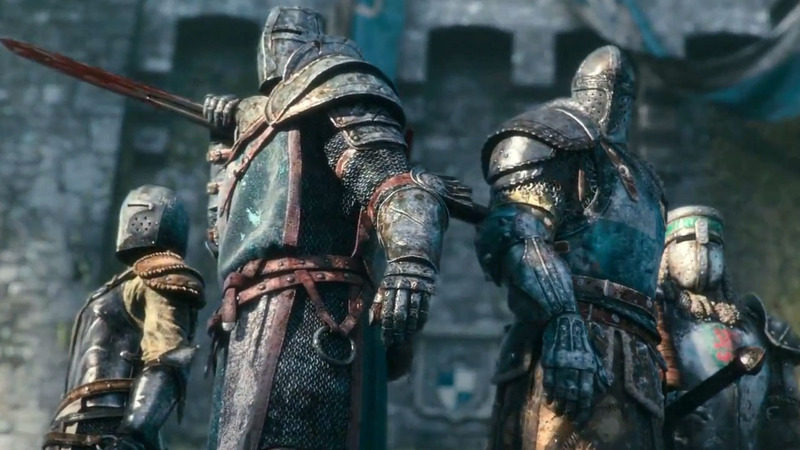 To make sure everyone knows what we are speaking about, For Honor is a medieval warfare video game that will be adapted to PC, Ps4 and Xbox platforms. During this fighting game each player will have the ability to choose their favorite character group, in this case a Viking, Samurai or Knight. These are the main factions in the game that will also be divided into four different For Honor classes. In order to help you understand the game better, every faction will have unique skills, fighting technique as well as different weakness. Coming back to the classes, each of them has different names, including Vanguards, Assassins, Heavies and Hybrids. For instance Vanguards is presented as great fighters that has incredibly good defense and assault skills. Assassins can deal with a fast attacks, however, they are not so great at defense. Third class, Heavies, are presented as perfect soldiers that stand out because of great power and ability to fight even in the most delicate battles. Unfortunately, they are kind of slow and it certainly does not give any extra plus while fighting with fast and dexterous soldiers. Last but not least, For Honor has also included the fourth class called Hybrids. From the first sight, they might look unreliable or so, however, this is certainly not true! Hybrids have mixed characters, who have many great powers and skills. In some cases, Hybrids could even fight better than all previously mentioned classes. However, what is really great, all classes has different approach to the world that makes the game be super exciting and mysterious at the same time. If you wonder if For Honor for PC will have some differences between PS4 and Xbox versions, our answer would be kind of. The gameplay will remain the same, however, gamers will be provided with greater abilities. The reason for this, is the amazing PC platform, which is recognized as the most powerful for many years from now. Of course, we can’t deny the fact that PS4 or Xbox has a huge number of users. They both became popular extremely fast and today stands out because of amazing 3D effects. You can watch For Honor trailer and read about For Honor weapons.